Cameron: In a traditional Republican stronghold that some would say Knoxville is, you as an open Democrat have been elected twice. So what do you account for your success? Mayor Rogero: I think, first of all, that the city of Knoxville is not part of the Republican stronghold. 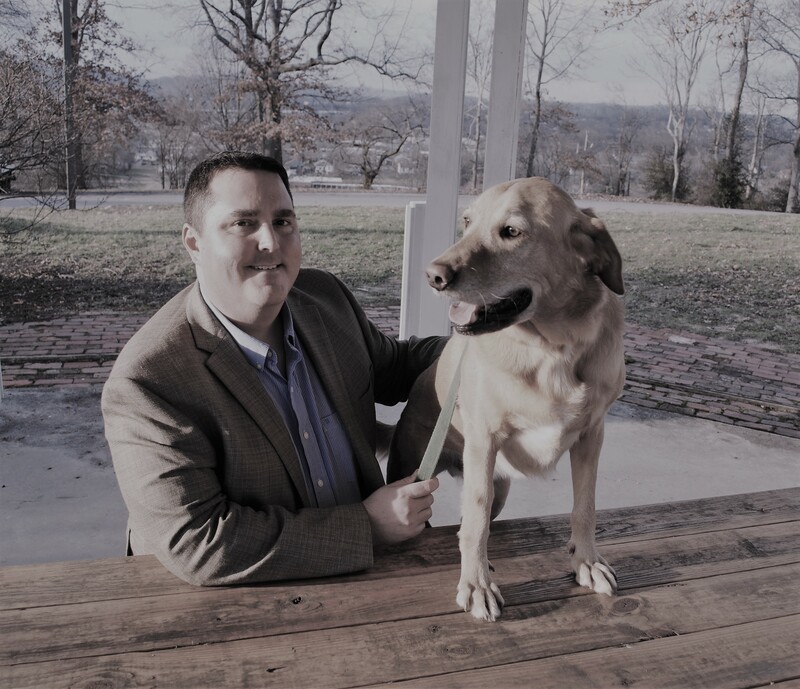 In fact the city of Knoxville has a majority of Democrats, a lot of moderate Republicans, and a good number of people who really look at the experience and the values of the candidate. When you look at past elections, particularly with Democratic candidates running in state and federal races, Democrats generally win in the city of Knoxville wards. I don’t hesitate to say that I am a Democrat, but to be a successful mayor you really need to reach out to all parts of the community, not to just one party or ideology. I have reached out to all people regardless of politics, race, gender, and nationality — the things that have traditionally divided us. As a candidate I said I would work across all groups and that’s how I have governed. Cameron- So some would say there is a real push for Democrats to move to the left- or some would even say the ultra-left- in our country right now. What’s your thoughts on this? Mayor Rogero- There is a similar push for Republicans to be ultra-right. I resist that push on the left. I have many friends who are to the left and I have many friends who are moderates and practical. I see myself as a pragmatist. I have values and I have goals. I don’t hesitate to say what those are. But it’s very important to consider how you actually get there. It is a real luxury to just talk about your ideals and values and what we should be doing. The real struggle is how you actually get there. And so we get criticism from people on the far left who think we haven’t done enough. And we get criticism from people on the far right who think we have gone too far. My goal has been to find that sweet spot in between where we can actually move the community forward. Progress is what I am looking for. Progress rather than rhetoric. My goal is to keep moving our city forward in ways that are welcoming and inclusive, reaching out to all segments of our city. Cameron- In your seven years in office, what accomplishments have you been most proud of? Mayor Rogero- The most basic thing a city delivers is public safety (including police and fire) and basic public services. These are the services many people take for granted except if something happens and those services aren’t there. Imagine if there was a fire and the fire department didn’t show up (which, of course, we know doesn’t happen). Police on the streets, firefighters responding to fires and medical situations, leaves picked up, garbage collected, sidewalks repaired, roads paved, etc. – these are vital and basic services that I believe we have delivered well. And along the way we have found ways to save money and become more efficient. We’ve had re-organizations of departments and implemented new technologies that have allowed us to deliver these basic services even better with increased professionalism. So it starts with the basics- continuing to deliver good city services. We’ve also added to quality of life and a healthy lifestyle by adding greenways, bike lanes, parks, the Urban Wilderness, and increased recreational opportunities. We’ve expanded our arts and culture amenities. Another area I think we’ve done well in is the investment of public dollars in strategic ways to encourage private sector investment. We’ve done this in downtown, in south Knoxville, Downtown North, and we are beginning this along the Magnolia corridor and Sevier Avenue. In those areas we have done streetscapes and façade improvements. We’ve addressed blighted properties. And when we make these strategic public investments then the private sector comes in, restores and repairs commercial buildings, opens businesses, and creates jobs, thus bringing vitality once again to streets and neighborhoods. The biggest challenges continue to be socio-economic and health-related issues — for example, mental health, substance abuse (particularly opioid addiction), homelessness and affordable housing. Addressing these issues is complicated; the city can’t address them alone. It takes legislation, funding, and policy initiatives at all three levels of government- federal, state, and local. It takes coordination with our county government. These are hard issues to solve, but we are making progress on them. We are spending over ten million dollars this year to address affordable and energy-efficient housing in the city through various funds that are managed by our Community Development Department. This includes a rental development fund, an affordable housing trust fund, partnering with KCDC, emergency home repairs, housing rehab, and other programs. We also collaborated with the county and the state on funding for the new Behavioral Health Urgent Care Center — a jail diversion program for people who have committed nonviolent crimes and have a mental health or substance abuse issues. These individuals can choose, if they are approved, to enter the facility and get treatment instead of going to jail. The center allows them to detox or to stabilize and then access appropriate treatment and case management. Access to affordable health care and the availability of treatment centers are challenges. It is a very complex problem. But getting back to a point I made earlier, rhetoric is simple. Actually solving the problem is very difficult. Despite the challenges, we are committed to making progress in these areas. Cameron: We have seen a lot of changes in South Knoxville over the past decade, many of which folks attribute to your leadership as city mayor. Are there things in particular that have occurred that you are excited about? Mayor Rogero: Changes in South Knoxville really started with the Appalachian Mountain Bike Club. These men and women who love to be active and outdoors recognized the unbelievable resources we have there – they literally built miles of trails with their own blood, sweat, and tears (and cases of beer, they tell me). Legacy Parks Foundation was also responsible for the progress. The area became branded as the Urban Wilderness, which consists of a thousand acres, ten city parks, two quarries, Ijams Nature Center, the state wildlife management area, and all the trails the bike club has built. Individuals moved south, bought farms, bought properties, and granted easements to allow trails to come through their property. The Aslan Foundation is a major funder for a lot of the work happening in South Knoxville. Ijams Nature Center is a partner, along with the merchants who are reclaiming vacant property and opening new businesses. When we successfully stopped the extension of the James White Parkway through the Urban Wilderness, the door was opened to South Knoxville becoming a mecca for outdoor recreation. The City built Suttree Landing Park along the waterfront. Now we are designing a gateway entrance to the Urban Wilderness and a new streetscape for Sevier Avenue. So it was really a partnership from the very beginning. It was individuals, organizations, and the City who recognized the value and the opportunities before us. That’s the key to the Urban Wilderness and to South Knoxville’s changes. It’s a great model and a great story to tell. Cameron: Where do you see the city of Knoxville in five years? Mayor Rogero: Knoxville will continue to grow. We are in a great location, geographically, and it is a beautiful part of the country. And we have a lot to offer. The projection for coming years in the county and region is increased population growth. The challenge is going to be how we accommodate that. We need to have a diverse stock of housing in terms of type, size, and affordability. It’s great that we have luxury apartments being built along the south waterfront. But we also need the Southside Flats just down the street from them which will provide affordable and workforce housing. So five years from now I hope we’ll see a good balance and diversity of housing types and affordability. The same thing goes with job growth. Thanks to Tennessee Connect and Tennessee’s Promise which allow people to go to college or get their technical training for free, we now have the opportunity for everyone to be trained for the jobs of today and tomorrow. We have great opportunities. We need to encourage our residents to get that training – whether they want to be a welder, a plumber, a carpenter, a teacher, an entrepreneur, a computer analyst, or a scientist at Oak Ridge National Lab. We need a trained workforce to meet the demands of a growing economy. We will see the urban core continue to be an attraction – like downtown, the Old City, the inner ring of neighborhoods. Many of our residents like the vitality of an urban environment. Knoxville is on a great trajectory right now. But we have to be careful. We have to make sure we don’t leave anyone behind. And so we have to balance that focus. On the one hand, you want investment in the community. You want the luxury apartments and housing to attract and keep wealth in the city, and you want affordable and workforce housing to meet the demand. If all the wealth leaves Knoxville, like we saw in years past, then you have more blight, more disinvestment. So you have to hit that balance. Cameron: Is there one thing you wish you had known prior to becoming mayor that you learned on the job? Mayor Rogero: I benefited from being the Community Development Director under Mayor Haslam for four years. So I was inside city hall. I had gone through the budget process four times as a department director. I worked with civil service. I knew a lot of the employees, and I learned how the city functioned. Most mayors don’t have that insight when they come in and more on-the-job training is required. Working in the public sector is different than working in the private sector. There are some similarities in that good management is critical in both places, but as a city mayor you have a different bottom line and a large constituency to which you have to answer. So it wasn’t the job that was a surprise. My biggest surprise was the sheer number of activities and initiatives in our city. I thought I had my arms around it. When you are campaigning you go everywhere. But I learned there were so many more good things, so many initiatives, so many good nonprofits, so many good community efforts, and everyone wants the mayor to come see them! So I get tons of invitations and I go to as many as I can. I knew we were a great and caring community, a very compassionate community. But I saw even more of that when I became mayor. Cameron- So in business and politics successful leaders oftentimes have mentors who helped them become the leader that they became. Do you have a mentor or mentors from your past? Mayor Rogero: In terms of how to work with people and organize them around a common cause I would have to say Cesar Chavez of the farm workers movement was a mentor. I had the chance to work around him and other leaders, including Eliseo Medina and Dolores Huerta. That’s where I first learned community organizing skills and, I believe, whether you are active in a nonprofit or your church or the PTA or even running for office we use those same skills. Those skills teach you how to express your story and how to help people come together and recognize what the problems are and how to come up with solutions that help things move forward. My early mentors were those leaders in the farm workers movement who taught me community organizing and community building skills. Cameron- so later on did you have other people? Mayor Rogero- I would say when I was on county commission (1990-1998), a mentor would be Bee DeSelm, a Republican who was among the first three women elected to county commission. She was gutsy and was always willing to speak out on issues, but she also knew how to work with people. She was always willing to make a statement and not just go along with the crowd. So Bee DeSelm was a mentor. The year I ran for county commission in 1990 there were several women who were running for various positions. Bee invited us all over to her house and she took out her calendar and she talked about how often she had events and things to do – because we all were saying, how busy are you? You know I’ve got a job, I’ve got kids, can I really do this? And so she mentored us. I always joke that we sat at Bee’s knees and she mentored us on that. That year I was elected to county commission and I was the first Democratic woman ever elected to the seat. I was the fourth woman ever elected, and the three who had been elected before were serving at the time I was on there- Mary Lou Horner, Wanda Moody, and Bee DeSelm. Four years later two more women came on board- so at one time we had six women on that 19 member commission. So Bee was a good mentor. And I’m sure there have been others. I’ve been fortunate to work with so many great people. As mayor the team I’ve had working around me have been incredibly talented. Whether it be Bill Lyons, Eddie Mannis, Christi Branscom, or David Brace. Jessie Mayshark who is a communications expert but also a policy guy- he understands issues. Or Charles Swanson my law director. And my community relations person Avice Reid. My police and fire chiefs. All of them have had really significant experience. As the saying goes, the buck stops here with me as the mayor, but it’s not a top down operation. I seek the advice of my staff, and together we figure out how we are going to govern. Cameron: What do you like to do for fun that’s outside of politics? And do you have any hobbies? 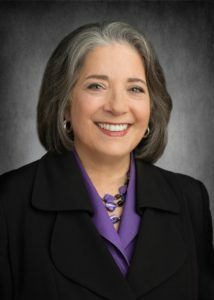 Mayor Rogero- Yes! My husband and I are bee keepers. Though we haven’t had them for the last couple of years because our bees died, I’ve been very busy, and my husband works out of town a lot. So we look forward to getting back to beekeeping. We still have all the equipment. Cameron: What do you do with bees? Mayor Rogero- With bees you have hives in your yard and they make the honey- you just kind of watch them and care for them but they do all of the work. You go out to the hives, put on the white veil and bee suit and monitor them. Eventually you extract the honey. We would have annual spinning parties, where we extract the honey and all our guests leave with a jar of South Knoxville honey. So that’s one of our hobbies. I also like to flat water kayak. I’ve got four kayaks at homes. I don’t do it as often as I would like but I get out whenever I can. I also like to dance and play softball. Cameron: have you played softball lately? Mayor Rogero- I played recently with some kids from the Boys and Girls Club! And I play annually at a Memorial Day gathering with friends. Perhaps when my mayoral term is up, I will start playing with the Knox Senior Co-ed softball league! AFTER HER TERM ENDS, WHAT’S NEXT? Cameron: Have you made any plans once your term as mayor is up next year? Mayor Rogero: So my term ends on December 21st, 2019, which is when the new mayor will be sworn in. First, I will take an extended vacation! My plans after that are still evolving. I’ve learned so much as mayor, in my non-profit and community work, my training as a city planner, and my work with farmworkers. I’ve learned a great deal about a variety of issues, facilitation, training, and community building. I want to use that knowledge and those skills in ways that allow me to continue to give back and help others. And I want to spend more time with my grandchildren! Cameron: Have you ever thought about writing a book about it all? Mayor Rogero: Yes. That might be a possibility too. Cameron: Do you see yourself retiring here? Mayor Rogero: Oh, absolutely. Knoxville is home. I moved here almost 38 years ago after having lived a lot of places. This is home, this is where (most of) our kids and grandkids are. I would like to travel some. But I’ll always come back to Knoxville. Author and Publisher of Cameron Brooks News and Views and Affiliate Broker with Realty Executives Associates. Call or text me at 865-387-4408 or email at cameron@cameronviews.com.